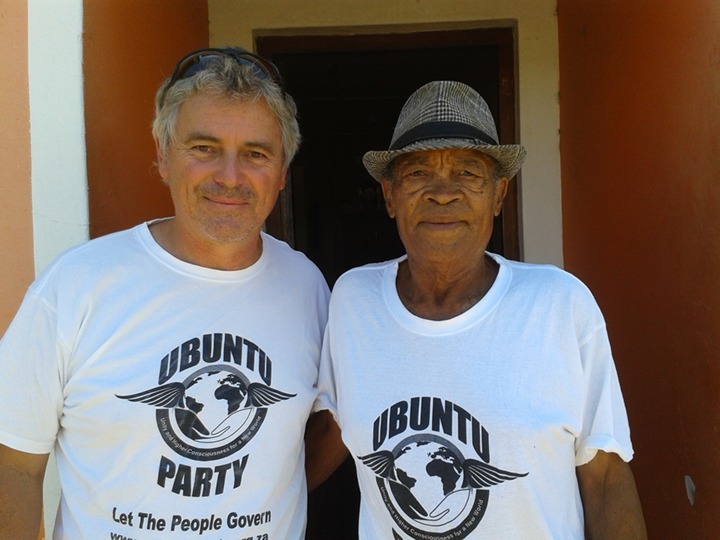 ubuntu: KHOISAN Leaders & UBUNTU Meeting a Great Success. KHOISAN Leaders & UBUNTU Meeting a Great Success. The UBUNTU Movement could not have wished for a better ending to 2016. I need to thank Dylan Gill our UBUNTU representative in Bredasdorp, South Africa, for setting up the meeting with the Khoisan Elders and Leaders from the Swellendam Area. I am deeply grateful for Dylan's efforts and commitment to spread the UBUNTU plan of action to the original people of this land who remain the most abused and forgotten people in South Africa under the ANC government. I was deeply honoured to meet the leaders and make a strong spiritual connection. The meeting took place on the 29th Dec 2016 with the support of the local Khoisan Elder, Oom Basie - It was a great success. 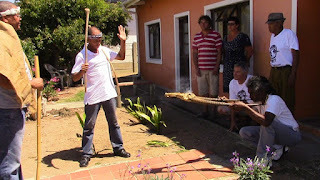 Khoisan Leader Lanville Cupido performs the opening ceremony with Michael Witbooi on the left while Anthony Satira burns the sacred Imphepho for the sacred smoke in an Eland skull - to bless our meeting. 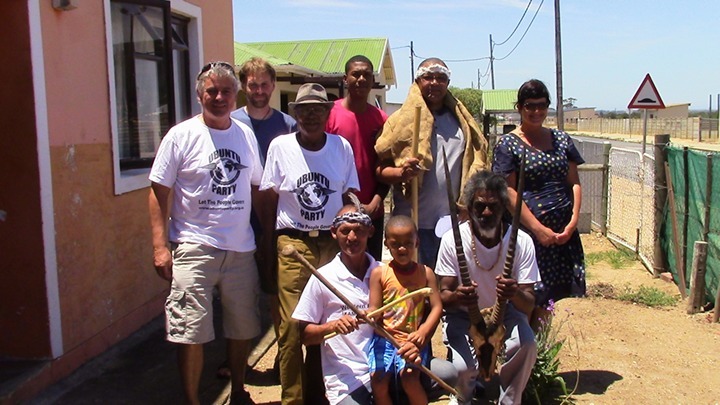 Khoisan Leader Lanville Cupido shakes Michael Tellinger's hand to conclude the first historic and highly successful meeting between Khoisan Leaders in the Swellendam Area, South Africa and the UBUNTU Movement. 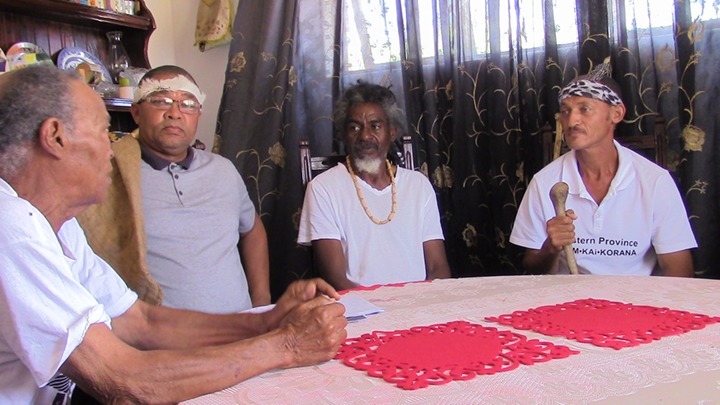 We agreed on establishing several community projects that will create many skills and financial support for these communities - including a Khoisan Life-style village as a tourist destination, art, dancing, music - an Alternative Khoisan School - and more. I will share more on the projects soon. Dylan is highly knowledgeable in the area of Khoisan Medicinal plants and his focus will be on establishing a community project that will harvest and grow the endangered plants and also collect seeds for future security of the plants. 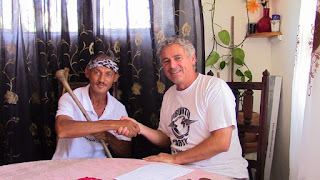 Our intention is to distribute the plants and medicine as widely as possible. I cannot imagine a better way to end 2016 and lay the foundation for miracles to come in 2017. We are creating our own new reality - a new system and a new world for all of us - free from economic slavery - filled with abundance and prosperity for all. Oom Basie - the real Khoisan elder in Bredasdorp who facilitated the meeting. 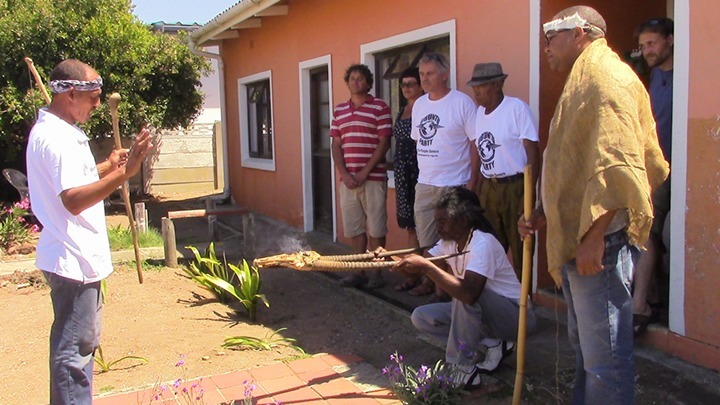 Khoisan Leader Lanville Cupido performs ceremony - Anthony Satira holding the looking on are Dylan Gill, Chanel Badenhorst, Michael Tellinger, Oom Basie, Michael Witbooi, and Mat Wood. Oom Basie shares his vision with the Khoisan leaders. Group pic after our very energetic and successful meeting.